In honor of Valentine’s Day, I wanted to remind you that everything is all about love. Life’s struggles (yes, even money issues) can be fixed with love. Every difficult relationship or situation can be remedied with love. Any chakra blockage may be healed and opened through love. The healing power of love can change things in an instant. In The Chakra Diaries, 10 people in a chakra workshop journal about their lives, troubles and relationship problems, and how they regain their balance, their joy, through THE HEALING POWER OF LOVE. 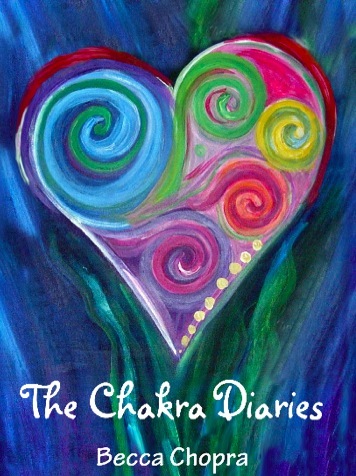 My Valentine’s gift to you is a copy of The Chakra Diaries – download your FREE copy at Amazon. The Chakra Diaries includes information and meditations to help you balance your own chakras as you learn how these “energy centers” affect love and loss, health and happiness, life and death for the participants in my chakra workshop. Readers have found this look at how miracles can happen through forgiveness and love to be both enlightening and inspiring. You can share the FREE LINK to The Chakra Diaries with your loved ones and friends – just go to the Amazon page and click “Share.” Remember, Kindle books can be read not only on Kindle devices, but computers, iPads, and even smart phones… the app is free on Amazon.